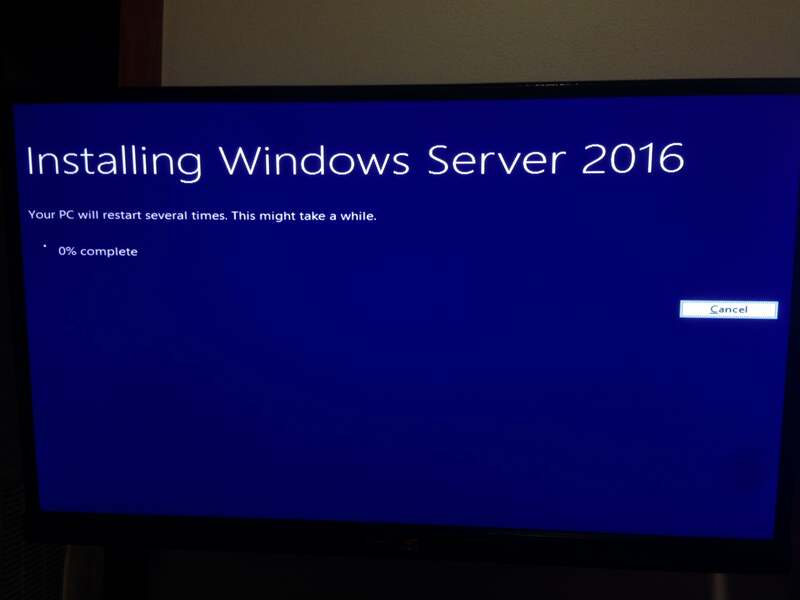 Day 98 – Windows Server 2016, that’s so last year. After windows server 2012 didn’t know what an ethernet adapter was, I downloaded windows server 2016 (5GB) that only took 3 hours due to Australia’s internet speed. Once downloaded I went to install it on the BreezeLite, the BreezeLite has an interesting issue where the only USB that will show up is ones formatted in FAT32 sadly FAT32 doesn’t allow you to move large files. I tried exFAT but the BIOS didn’t pick it up… So I booted into Windows server 2012 and Installed it using the “upgrade” option, this thankfully worked. Once Windows Server 2016 installed I went to check the ethernet adapter, and it showed up! I then installed the DHCP Server and the web server to host the default gateway. So, Windows Server 2016 + BreezeLite = Great? Yes, yes it does.